Award winning ceramicist and Sussex Guild member Rowena graduated with a BA (Hons) Three Dimensional Crafts (specialising in Ceramics). 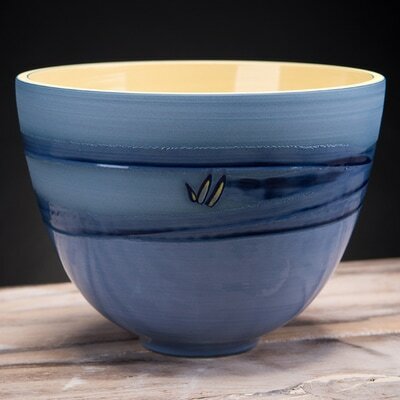 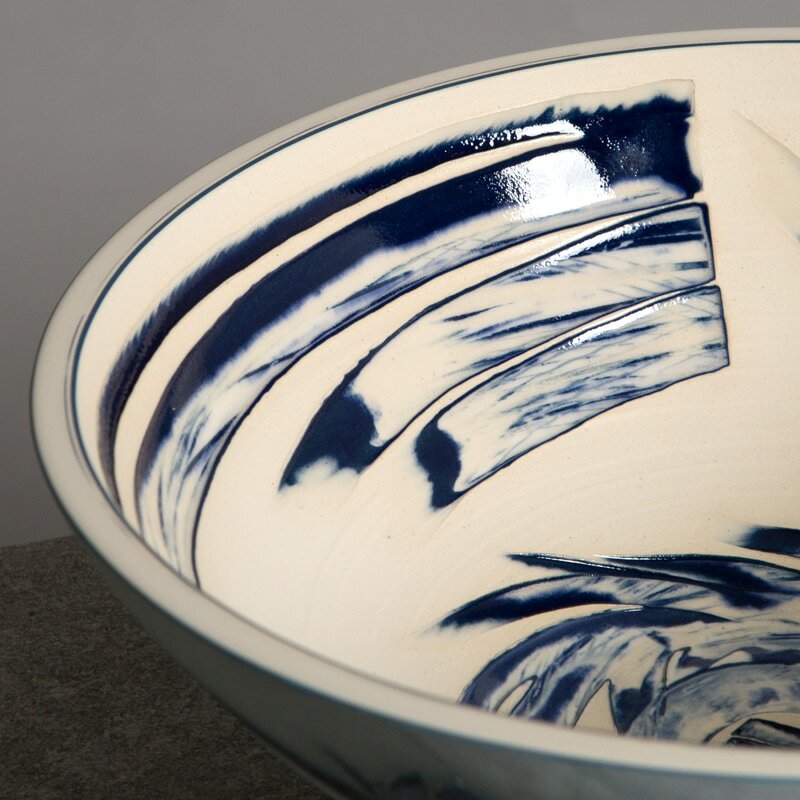 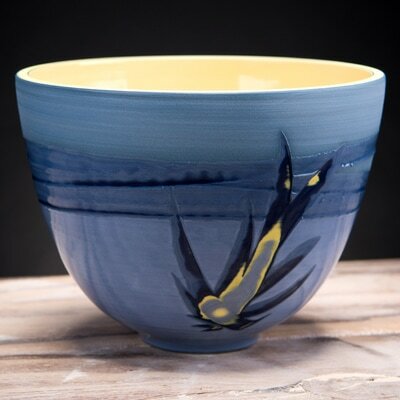 She set up her ceramic art studio as a full time artist and maker in Brighton where she has continued to develop and produce striking contemporary ceramics for numerous galleries, exhibitions and collections nationally and internationally. The Reef series pieces are the result of recent travels in South East Asia, a direct response to time spent swimming and snorkelling in Thailand. 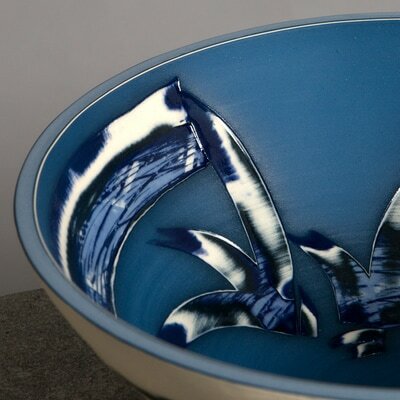 They convey the mesmerising effect of spending hours under the water: forms flutter across the aquamarine surface of the pieces, fish darting between corals and aquatic plants; the glaze ripples like water. The Coast Series are a response to the skylines and shores of these tropical islands, capturing the constantly changing hues and movements of these spaces with accents of waves splashing against rocks and birds in flight.